Posted on 11:47 am Wednesday, May. 16, 2012 by J.W. The first thing you should know is that this is the battle that convinces the French to help us. Not six months after the British surrendered at Saratoga, and not without irony, I suppose, Ben Franklin is in Paris, with his spectacles, his hippy hair and his drab, homespun clothes, closing a deal for money, troops, ships and, I imagine, not a little cheese with the well-perfumed king of France. The way the battle starts is — and I am fudging here — that the British get the idea to invade from Canada. And by “British get the idea” I mean that a foppish, self-promoting general named Burgoyne gets the idea. 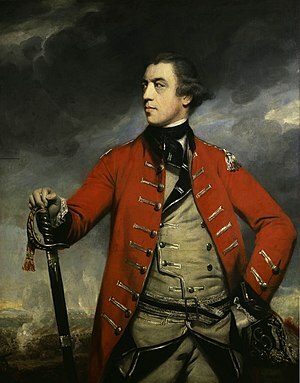 His plan is for three British armies to meet in Albany, which at the time is a fairly important colonial town and conveniently at the head of navigation for the Hudson River. The first army, led by Burgoyne himself, was to head south from Montreal; a second, smaller one was to head east from Lake Erie; and a third, led by Britain’s senior commander in North America, a guy named Howe, would head north from New York City. Burgoyne, and not a few of the king’s ministers, figured the campaign would be a tactical masterstroke, delivering a devastating blow to the no-match-for-the-redcoats-anyway Continental Army, sending a clear message to covetous, saber-rattling European rivals, as well as isolating the irritating, agitating, pen-scratching rebels in New England. Not surprisingly, there were two problems. One was that, literally, no one sends a memo to Howe in New York. I mean, they tell him what Burgoyne is up to, but no one tells Howe that he should pack his swim trunks and water wings for the lake country. The second is that beyond Albany and all the way to Canada is gloomy mosquito- and Indian-infested wilderness. It was, to be sure, regularly traversed without much fuss by hunters and traders and other half-wit loners, but it was a formidable obstacle for just about anyone else, never mind the horses and heavy wagons of an 18th century army. Franklin, in his early 70s, makes the trip himself shortly before the battle and it damn near killed him. Burgoyne, for his part, thinks he has this licked because he builds a fleet for himself on Lake Champlain. And, no kidding, it’s a fleet. Ships with cannon on them and sails and flat-bottomed transports, the whole bit. He figures he can float his way south, and for the most part he pulls this off. Burgoyne gets most of his army, 8,000-some regulars and mercenaries, plus militia, Indians and his own sizable baggage train, all the way down the lake to a place called Ticonderoga. Now, this was an old French fort that had been captured (embarrassing!) by the Americans from the British just two years earlier. Wags in the press called it the Gibraltar of the North, but that imposing nickname did nothing for the confidence of the American soldiers who were there now. And with good reason — it was pointed the wrong direction. The French who designed the fort had anticipated an attack from the south; in 1777, the American garrison was facing an attack from the north. When Burgoyne showed up with his homemade fleet, his redcoats and his sausage-stained Hessians, the rebels realized they were out of their league and promptly — the British would say, predictably — skedaddled. Burgoyne could not believe his luck. He had, despite a late start and after a laborious journey, effortlessly seized a significant obstacle. It was still just July, and Burgoyne probably figured this was going to be the best camping trip he ever went on. In fact, he gets the idea to send a big chunk of his army into New Hampshire to scrounge up extra supplies and horses and a whole herd of beef cattle — apparently with the notion of throwing the biggest barbecue New York had ever seen. But, as with many summer parties, things did not turn out as expected. For one thing, the Indians that Burgoyne had counted on to be scouts and raiders and such were starting to head home, unhappy with his scolding, dismissive treatment. For another, the British army that was supposed to come over from Lake Erie in the west crapped out not quite halfway along. For a third, his expedition to pick up party supplies in New Hampshire was more or less wiped out by an all-business Puritan American general named (gulp) Stark. Burgoyne now realizes he has a problem on his hands. First of all, he is running out of men: between the soldiers killed in New Hampshire, the Indians and militiamen who are deserting and the troops he has to leave behind to defend Ticonderoga, his invasion force is now down to maybe 6,000 guys — about half of what his original plan called for. Second, he is running short of food and ammunition, though he and his staff still religiously convene camp dinners with candles, tablecloths and lots of wine. And most disturbing, he gets a message from Howe, or rather the guy Howe left behind in New York, that says, Oh, hey, everyone here just left for Philadelphia. To be fair, for Howe, still preening from his victory in the Battle of Brooklyn the summer before, this made sense. Philadelphia was perhaps North America’s most important city, or thereabouts, and the seat of the Continental Congress. Anyway, Howe did not actually have orders to help Burgoyne, and given Burgoyne’s recent success at Ticonderoga, Howe probably felt he needed a comparable triumph on his side of the ledger. For Burgoyne, it meant that his much-needed supplies and reinforcements were now 190 miles farther away. Still, being British and an inveterate gambler, Burgoyne was inclined to keep going. And, anyway, his scouts finally had a handle on the American army, which by now was fattened by thousands of reinforcements and a whole cast of squabbling generals, and hunkered down like a swollen tick on a hilltop near Saratoga. 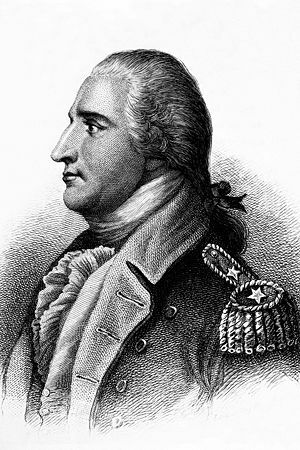 Burgoyne, who was not a complete fool, assessed the scene and rightly concluded that the Americans were vulnerable on their left side. Enter Benedict Arnold. Yes, that Benedict Arnold, who is only beginning to build the resentment that would lead him, in a few years, to sell out to the British. Fresh off some minor military triumphs on the frontier, Arnold shows up in the American camp expecting everyone to be thrilled. The American commander, a fellow named Gates, is anything but, and the two begin a rancorous rivalry that warps the rest of our story. One day in the middle of September, not long after Burgoyne has sent his troops off to try to turn the left side of the American line, Arnold is haranguing Gates about how his left really is vulnerable. Gates finally has enough, and tells him, Fine. Take your boys, reinforce the left. Just leave me alone. And so Arnold does, and his troops reach a place called Freeman’s Farm (see photo below) a little before the British stumble into them. A bloodbath ensues. At the end of a long afternoon, the Americans retreat to their well-supplied hilltop, where more recruits are arriving every day. The British are in possession of the field, but have taken heavy casualties that they can’t replace. Burgoyne considers it a victory; after all, he didn’t retreat. But he licks his wounds for nearly a month before trying to move again. By now it is October, and it is too late to pull back to Ticonderoga and be assured of an ice-free retreat to Montreal. Burgoyne, who has put his troops on half-rations, resolves again to try to turn the American left. Arnold, who has so thoroughly irritated Gates that he has basically been kicked out of the army, is filling his left leg with booze when a messenger rides in to tell Gates that (ahem) the British are coming. Arnold steals a horse and rides to the front, waving his sword in the air, leading charges, rallying troops and basically clinching a convincing victory for the American army. It isn’t all beer and skittles for Arnold, of course, he takes a bullet up the strap. But his heroic display, and his decorous timing in getting gravely wounded, softens Gates’s feelings toward him. And the British are so thoroughly defeated that, in a month, they surrender. It’s the happy ending every patriot was hoping for. Except for, you know, the fact that the war drags on for six more years. View, toward the east, of Freeman’s Farm as it is today. Posted on 11:00 am Friday, Jan. 20, 2012 by J.W. I originally wrote this in 2007, but have since revised and updated some of the remarks. Audrey Munson was a model and an actress who rose to fame in the years before World War I. She was so popular as a model with well-known artists of her time that she earned the nickname American Venus. There are several statues in New York City that are modeled after Munson, probably more than any other woman. Indeed, I became interested in Munson when I made an effort to determine exactly how many statues in New York she posed for. And I am not the only one interested in the subject. Diane Rozas and Anita Bourne Gottehrer, the authors of “American Venus: The Extraordinary Life of Audrey Munson, Model and Muse,” link her to 22 statues. Andrea Geyer, an artist and the author of “Queen of the Artists’ Studios: The Story of Audrey Munson,” says 17. The Wikipedia article on her life? Nineteen. A 2007 New York Times story? Fifteen. My thinking has evolved on this, but I don’t think it’s possible to iron out a final, accurate number. Researching the Web only goes so far; the answers.com article on Munson, for instance, is a copy of the Wikipedia article. News reports of the day are notoriously inaccurate; and Munson herself gave several interviews in the early 1920s in which she contradicts things she has said, not to mention known details of her life. Never mind that the whereabouts of several of the statues are unknown. I have included below a complete list, so far as I can tell, of all the statues in New York City linked to Munson. I have noted in shorthand which sources credit Munson as the model, including those cases in which I have an opinion, and added some commentary. A note about our sources. “American Venus,” by Rozas and Gottehrer is a very readable and somewhat meandering recounting of Munson’s life. But the authors make no attempt, that I can discern, to list the statues she modeled for. The book mostly links Munson to monuments in oblique ways, by simply publishing photos of the statues. “Queen of the Artists’ Studios” by Geyer is more of an experience than a book about Munson’s life. It is essentially a montage of ink streaks and historical news clippings and photographs, buttressed by four essays. Two are about Munson, or rather writers’ experiences of her. One is about Munson’s role in film. And the fourth is about the hospital where Munson spent most of her life. Geyer, for all her artistic license, has produced what seems to be a well-researched map of Manhattan locating the statues she says Munson posed for. Three Graces (1907) by Isidor Konti in the lobby of the Hotel Astor, which was demolished in 1967. This is probably the first public monument she modeled for. She would have been 16 at the time and every account of her life says that she was discovered by a photographer on the streets of New York City when she was 16. Geyer does not include this on her map, but that is probably because no one knows where this piece ended up. A New York Public Library researcher told me that a monograph of Konti’s work, published in 1974, lists the sculpture’s whereabouts as unknown. …Konti’s work might be a similar to a statue that resides at the Metropolitan Museum of Art, a second-century copy of an older Greek work. Venus: Yes; Queen: No; Wikipedia: Yes; Me: Yes. Duty and Sacrifice, the figures flanking the Firemen’s Memorial (1912) by Atillio Piccirilli at 100th and Riverside Drive in Riverside Park. The parks department credits Munson as the model in its signage and online database. Venus: Yes; Queen: Yes; Wikipedia: Yes; Me: Yes. Civic Fame (1913) by Adolph Alexander Weinman atop the Municipal Building in Manhattan. The city’s Web site credits Munson as the model for this sculpture. Venus: Yes; Queen: Yes; Wikipedia: Yes; Me: Yes. The figure of Columbia atop the U.S.S. Maine monument (1913) by Piccirilli at the southwest corner of Central Park, opposite Columbus Circle. Wikipedia says Munson was the model for the figure at the monument’s base, too. Venus: Yes; Queen: Yes; Wikipedia: Yes; Me: Yes. The figure in the pediment (1914) over the porte-cochère of the Frick Collection by Sherry Edmundson Fry, 70th and Fifth. A Frick reference librarian confirmed this for me in December 2007. Wikipedia, “American Venus,” and “Queen” all say Munson also was the model for a second pediment at the Frick. Venus: Yes; Queen: Yes; Wikipedia: Yes; Me: Yes. The figure in the Ida and Isidor Straus Memorial (1915) by Augustus Lukeman at 106th and Broadway. (It’s worth noting that Straus is commonly misspelled on the Web.) The likeness of Munson in this statue is particularly striking. The parks department credits Munson as the model in its signage and online database. Venus: Yes; Queen: Yes; Wikipedia: Yes; Me: Yes. Spirit of Industry (1916) by Carl Augustus Heber at the Manhattan Bridge Plaza in Manhattan. Venus: Yes; Queen: Yes; Wikipedia: Yes; Me: Yes. Pomona, or Abundance, in the Pulitzer Memorial Fountain (1916) by Karl Bitter and Konti at the southeast corner of Central Park, 59th and Fifth. Bitter was run over by a car and killed while working on the statue; his assistant, Karl Gruppe, and a contemporary, Konti, finished up for him. Barry Popik, a writer and historian, told me in an e-mail message that his research showed that Bitter used the model Doris Doscher and Konti used Munson, so that the statue’s face is Munson’s and the body is Doscher’s. Venus: Yes; Queen: Yes; Wikipedia: Yes; Me: Yes. Brooklyn and Manhattan (1916) by Daniel Chester French, originally installed on the Brooklyn side of the Manhattan bridge but now flanking the remodeled entrance to the Brooklyn Museum. Venus: Yes; Queen: Yes; Wikipedia: Yes; Me: Yes. Memory (1919) by French at the Metropolitan Museum of Art, 86th and Fifth. Munson apparently was the model for dozens of pieces at the Met, including “Descending Night,” a small figure less than two feet tall not included in this list but included in everyone else’s. Venus: Yes; Queen: Yes; Wikipedia: Yes; Me: Yes. Mourning Victory (1919) by French inside the Met. This piece is a copy of the Melvin Memorial at Sleepy Hollow Cemetery in Concord, Mass. Venus: Yes; Queen: Yes; Wikipedia: Yes; Me: Yes. Peace (1900) by Bitter, in the facade of the Appellate Division of the Supreme Court, near Madison Square. “American Venus” and “Queen” each say Munson was the model for this statue. But she was born in 1891 and, according to New York’s Department of Citywide Administrative Services, all of the courthouse’s sculptures were in place by 1901, when she would have been 10 years old. Venus: Yes; Queen: Yes; Wikipedia: No; Me: No. Alma Mater (1903) by French on the campus of Columbia University, 118th Street between Broadway and Amsterdam. Geyer put this on her map, but allowed that it might be the actress Mary Lawton. It probably was Lawton. Munson would have been 12 at the time. Venus: No; Queen: Yes; Wikipedia: No; Me: No . America (1904) in the Four Continents Group by French on the facade of the Customs House in lower Manhattan. “American Venus” says Munson was used for Asia and Europe, too. “Queen of the Artists’ Studios” says Munson was the model for all four continent statues. I have my doubts. Munson was only 8 when French won the commission for this piece in 1899. He began work on the statues in 1903, and they were all in place in 1907, when the building was completed and Munson’s career was just beginning. Popik, the writer and historian, told me in an e-mail message that, in press interviews during the 1920s, Munson claimed to be the model French used. Venus: Yes; Queen: Yes; Wikipedia: No; Me: No. Beauty (1916, plaster; 1921, marble) by Frederick MacMonnies, a monumental niche in the New York Public Library, 40th and Fifth. A researcher at the library told me that it would be best to remain “agnostic” on the question of whether Munson was the model for this statue. MacMonnies was in France when he worked on the sculpture, 1909-1915, a time when Munson was at her busiest as an actress and model. Munson was in California with her mother in 1916 and 1917. Venus: Yes; Queen: Yes; Wikipedia: Yes; Me: No. Page 26 of Venus quotes a 1913 article from The New York Sun, which mentions another monument: “Up on Riverside Drive, Allen George Newman’s fountain ‘Music of the Water’ shows another pose of this young woman.” The facing page in Venus has a photocopy of the article, which includes a picture of the fountain. But exactly where this is (or was) is a mystery to me. Venus: Yes; Queen: No; Wikipedia: Yes; Me: Yes. The figure over the proscenium (1913) at the New Amsterdam Theater. This is definitely Munson, but it’s a painting, not a statue. Venus: No; Queen: No; Wikipedia: Yes. Figure on doors of the Greenhut and John W. Gates mausoleums, possibly at Woodlawn Cemetery in the Bronx. In April 2008, I was contacted by a woman who said a member of her family, a model who was known as Alberta Ludbrook, was used as the model for the figure on the Gates tomb. Venus: Yes; Queen: No; Wikipedia: Yes. Figure in the Women’s Health Protective Association fountain, Riverside Drive and 116th, by Bruno Lewis Zimm. This also is a bas relief. Venus: No; Queen: Yes; Wikipedia: No. Audrey Munson was born June 8, 1891, in Mexico, N.Y. She was apparently discovered by a photographer walking on a New York street. She soon became a sought-after model, was a widely published writer of columns and essays and eventually starred in four silent motion pictures. Her film career waned, and her modeling career was reportedly torpedoed by a spurned lover. Munson eventually tried to commit suicide. She spent the final 65 years of her life in a mental institution, and died Feb. 20, 1996.